The Internet Corporation for Assigned Names and Numbers (ICANN) has today opened its first African engagement office in Nairobi. The office, located at ICEA building on Kenyatta Avenue culminates three years of preparation and creating a strategy for the African continent. The office looks to drive engagement and increase participation of stakeholders in the African continent. ICANN’s mission looks towards providing a stable, secure and unified global internet and this office will allow for the achievement of this mission. In addition, it will champion for ICANN’s continental activities such as engagement with government and various stakeholders. 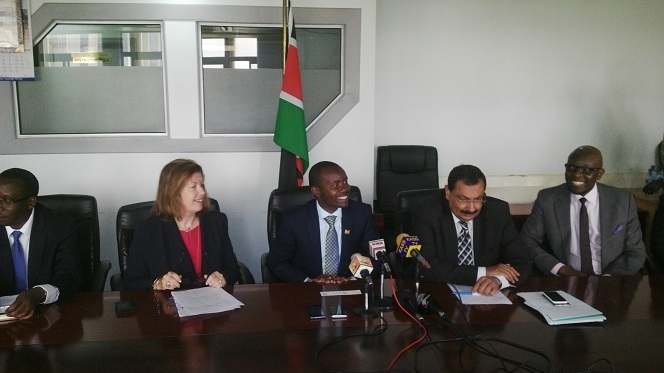 Sally Costerton, Senior Advisor to The President & Senior Vice President, Global Stakeholder Engagement said Kenya was as the base for being a willing host of the offices as well as the widespread adoption of ICTs by a majority of citizenry. ICANN plans to partner with stakeholders to train and grow the local ecosystem such as a strong domain community. ICANN is a not-for-profit public-benefit corporation with participants from all over the world. It coordinates the internet’s naming system through domains and IP addresses. In expediting its mandate, the body follows a multi-stakeholder approach in which industry, government and the community are involved in consensus-driven policy making concerning the internet. ICANN has its HQs in Califonia with hubs in Istanbul, Turkey and Singapore. The new office in Nairobi serves as an addition to engagement offices in Beijing, Brussels, Geneva, Montevideo, Seoul and Washington, D.C.